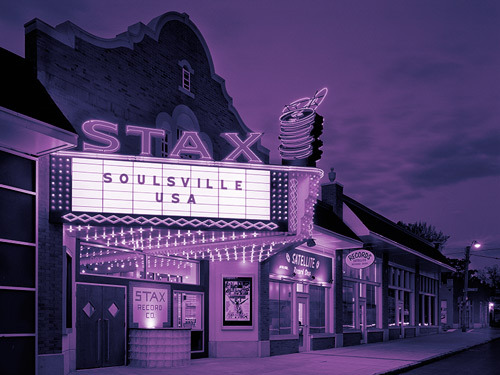 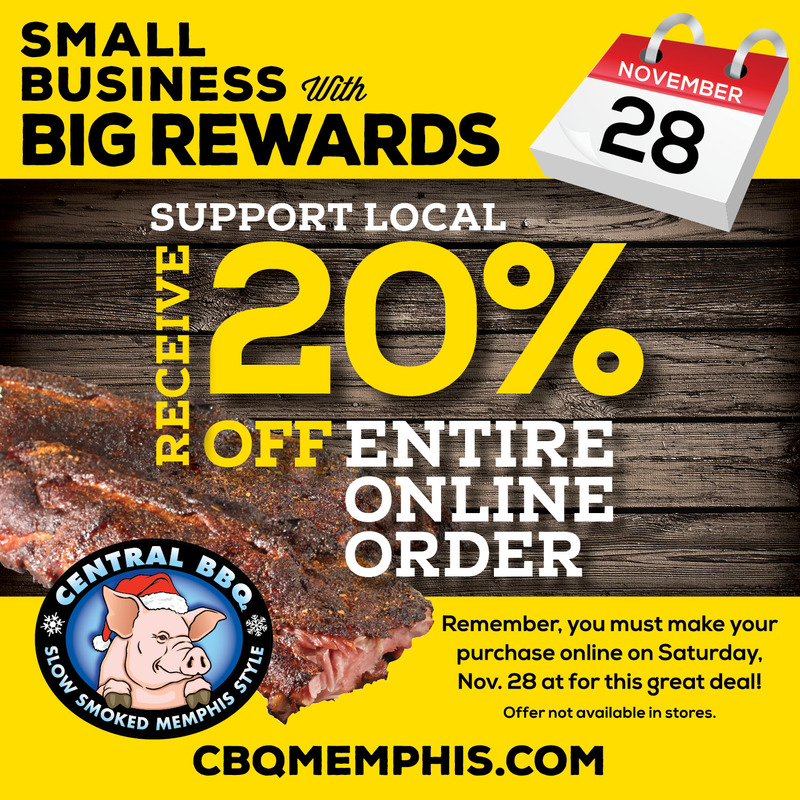 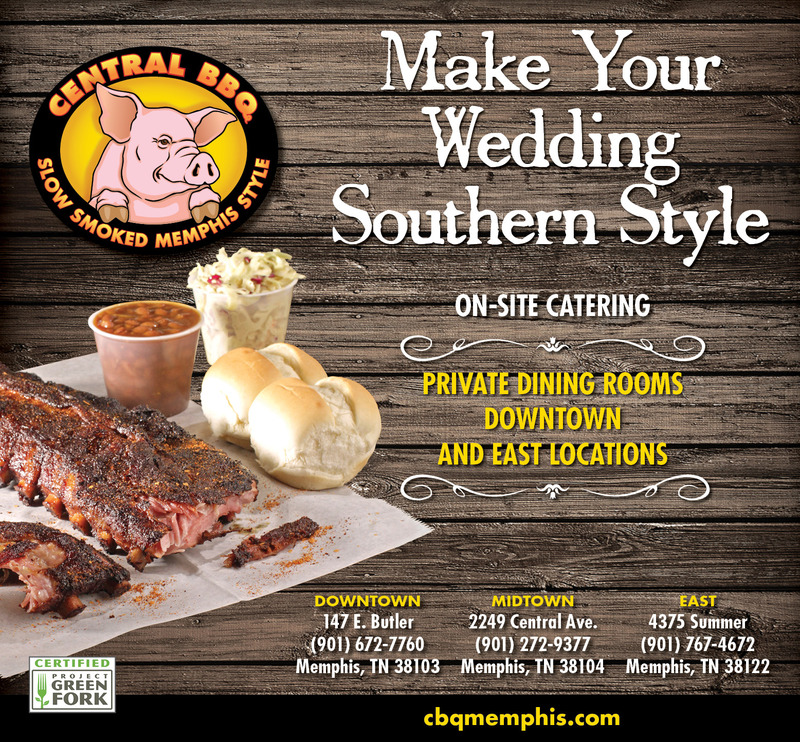 Everyone knows Central has the best BBQ in Memphis, TN. 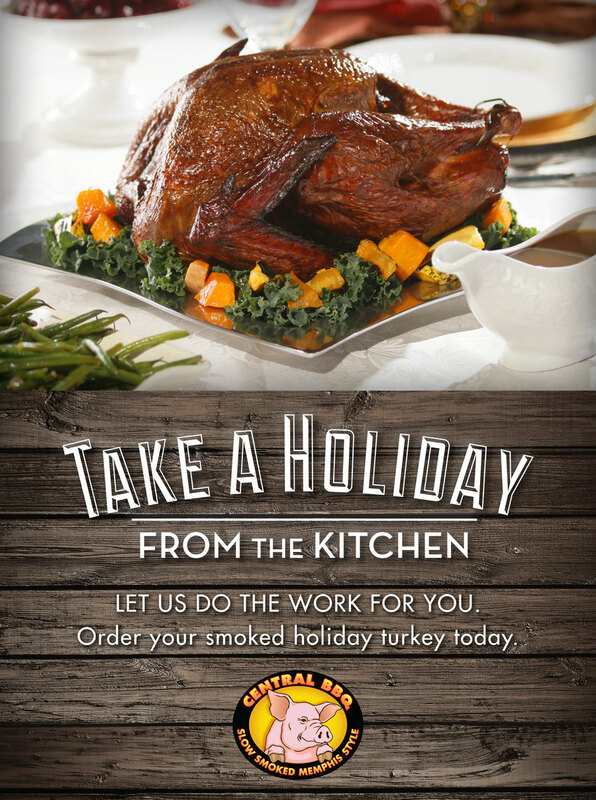 So when they wanted a way to sell more turkeys during the holidays, they called us. 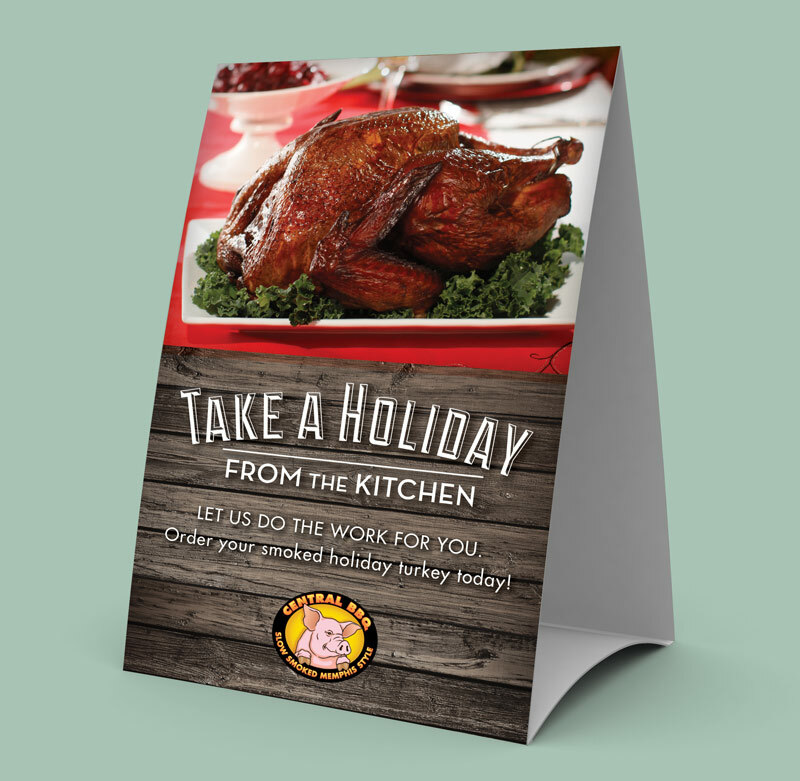 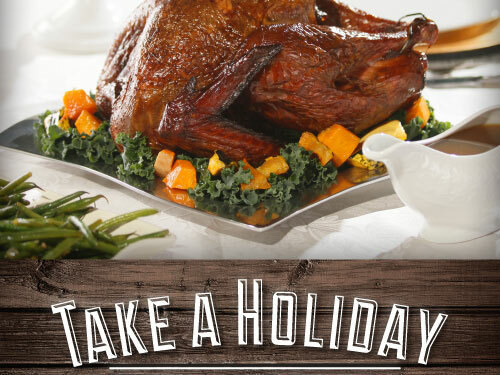 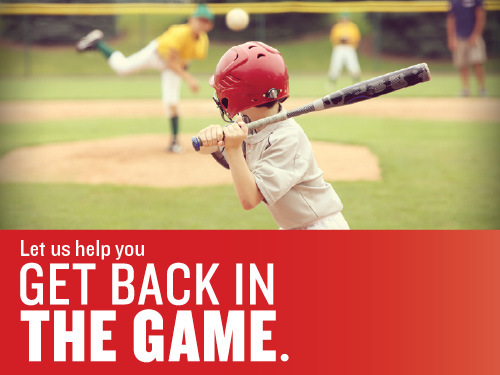 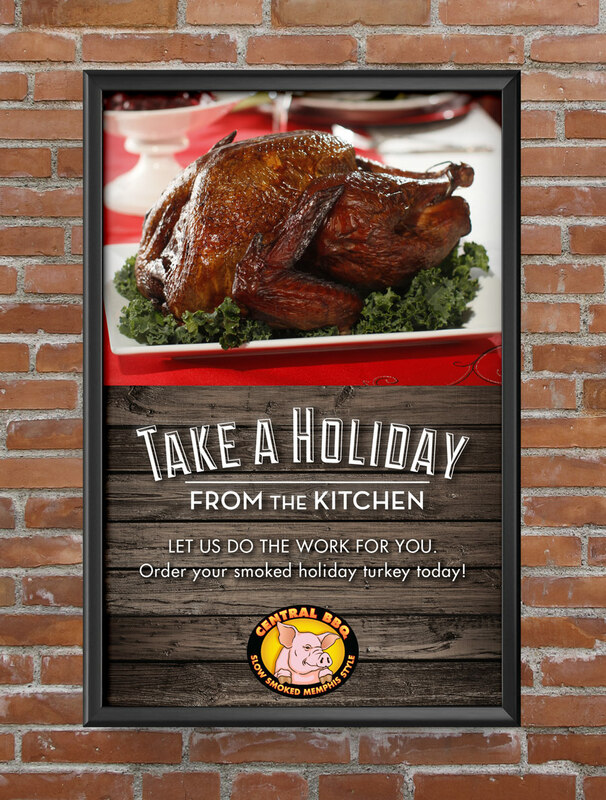 We created in-store promotional cards, a digital campaign targeted towards businesses who send holiday gifts, and in-store signage to help increase sales of turkeys.